CEF is the UK’s leading electrical wholesale network by outlets, supplying the country with electrical supplies from 390 stores, and also having a comprehensive online offering, providing next-day delivery for customers. CEF also has dedicated Procurement, Marketing, Data, National Accounts, and Projects teams coordinating major electrical installations. To ensure that these projects, along with the CEF Online network, run smoothly, CEF has an advanced IT department to respond to changes quickly and efficiently. As the company has expanded, the requirements for staff have also increased. 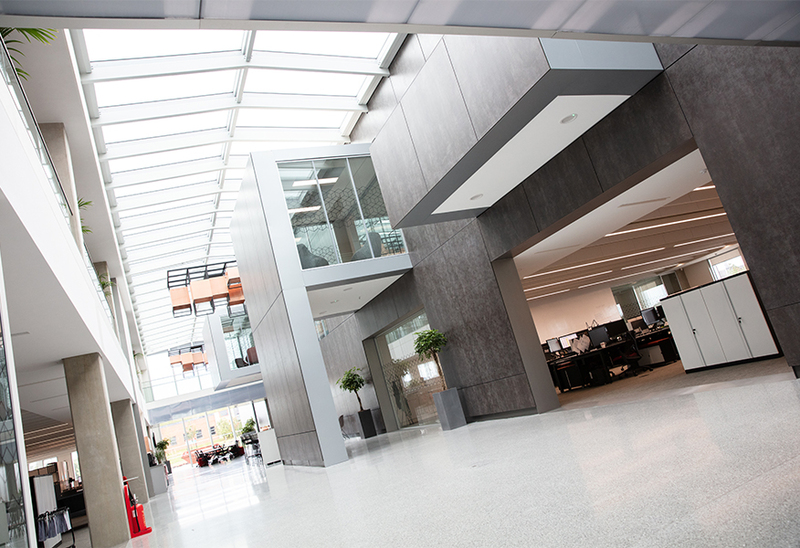 To accommodate the needs of an increasing workforce, while creating an aesthetically pleasing base for CEF, the IT, Data, Marketing, and Electrical Waste Recycling Group (EWRG) teams moved into a major, purpose-built site in Durham following an investment of many millions of pounds. Over 120 people work at Janet Nash House, named after the lady who was the eldest daughter of Tom Mackie, founder of CEF. 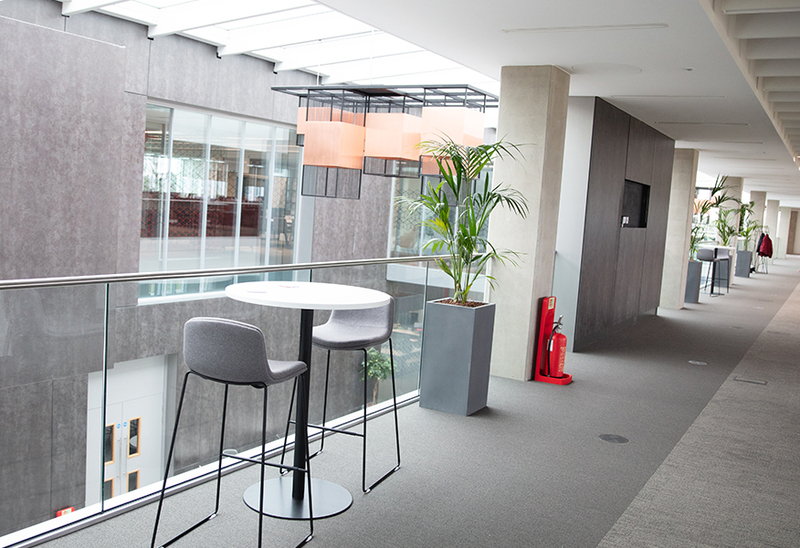 A bespoke building with wide, expansive lobby spaces, the premises has open plan offices and meeting rooms, washrooms and bathrooms, as well as a large car park for staff and visitors. 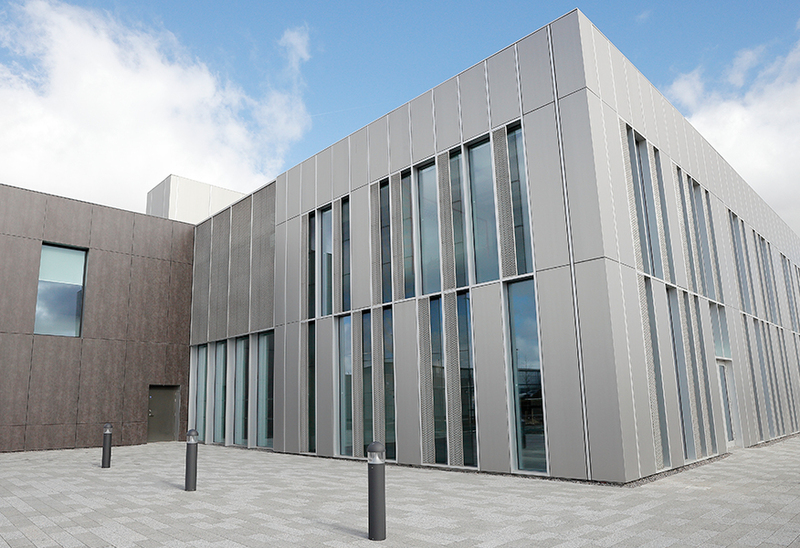 FaulknerBrowns, lead architects on the project, were meticulous in their requirements. The brief was to develop a contemporary workplace solution which embodies and reflects CEF’s drive and commitment to innovation. 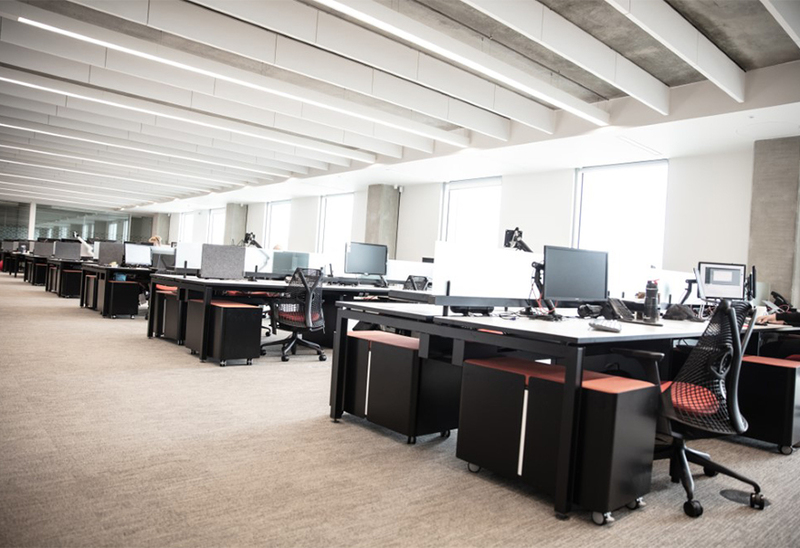 The building reinforces this culture and provides the ideal workplace for staff to perform at their highest level in comfortable surroundings. The building has sleek, smooth curves and edges to the architecture and design, creating a desirable environment for staff to work in and for guests to visit. 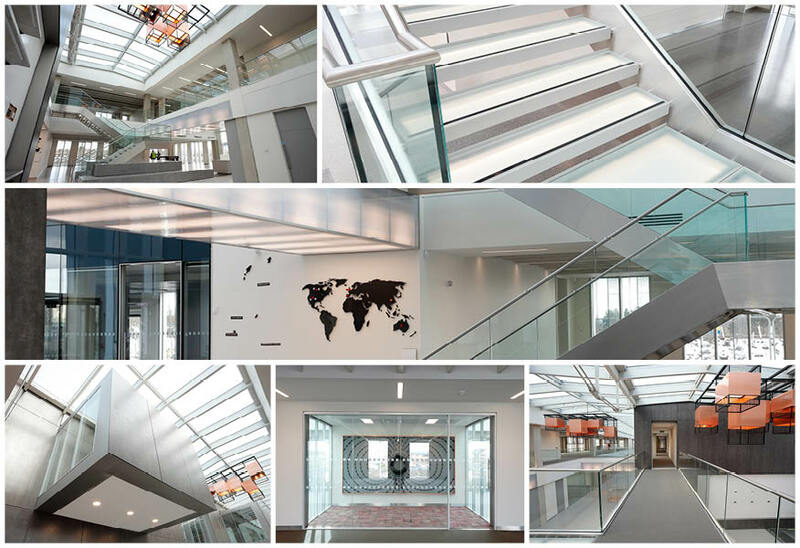 To accentuate this impressive building design, Tamlite Lighting custom-designed luminaires were specified throughout. The building opens up into a dramatic lobby, with stone walls, tall ceilings and eye-catching displays. 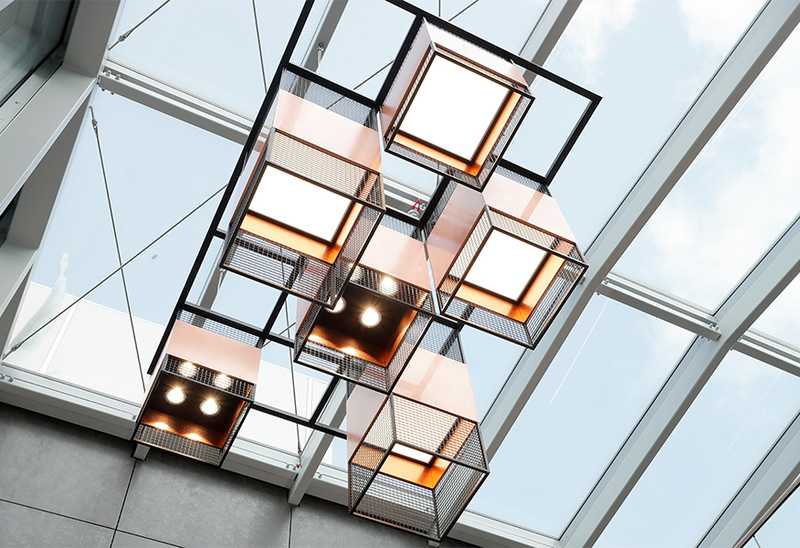 Suspended “chandelier-style”, specially commissioned, Tamlite luminaires hang from the ceiling to create an impressive environment for occupants, and the lighting system ensures that the architectural design looks stunning. 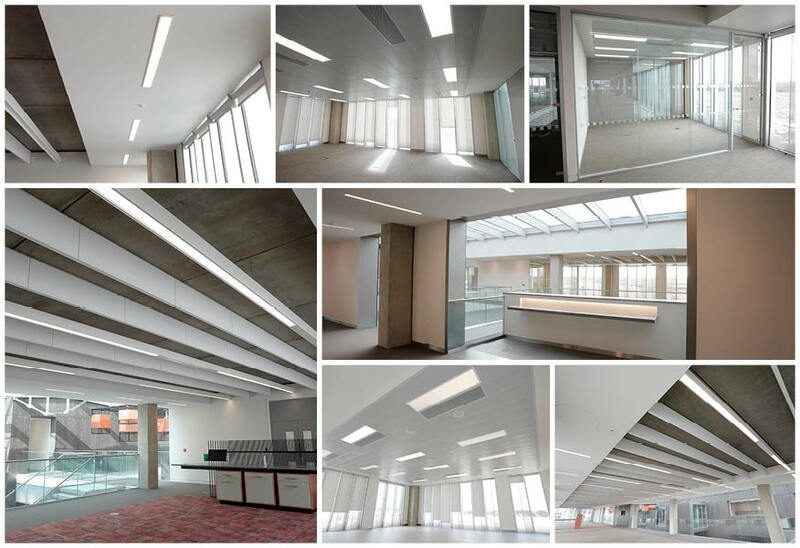 Bespoke recessed linear solutions were installed in the corridors and walkways on both levels of the building. Break-out areas overlook the expansive, airy lobby, complemented by the lighting system to create a balance between natural and artificial light. Tamlite Vision Connect lighting controls were utilised throughout Janet Nash House. Vision Connect uses wall panels and connected luminaires to allow room occupants to tune the lighting output to their requirements, as well as allowing staff to “set the scene” in meeting rooms and offices. This ensures that the lighting output in the room is in tune with workers requirements, and that guests are made to feel comfortable in meeting rooms, adding to the adaptability of the building. 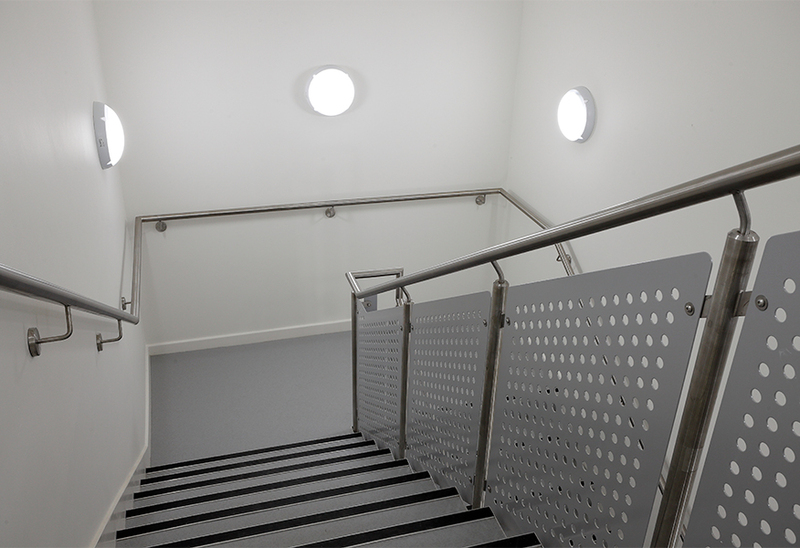 CEF are committed to staff wellbeing, so to boost worker comfort and ensure that Janet Nash House has a welcoming environment in which to work, custom-built low glare luminaires were installed in the open plan offices. Glare can lead to eye strain and headaches among staff members, and a loss of productivity. Intrusive light reflecting off computer screens or directly into people’s eyes can cause severe discomfort, so it was important for CEF that staff worked in a comfortable environment. 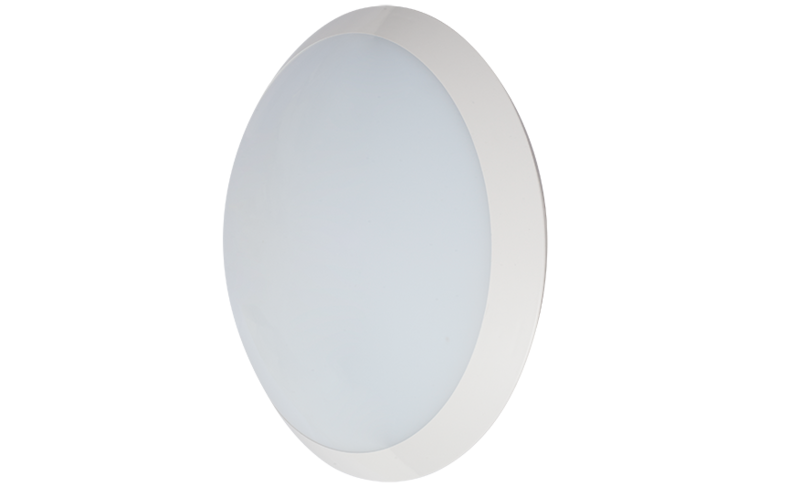 The key to providing low glare lighting in the offices is the lighting design and quality luminaires. 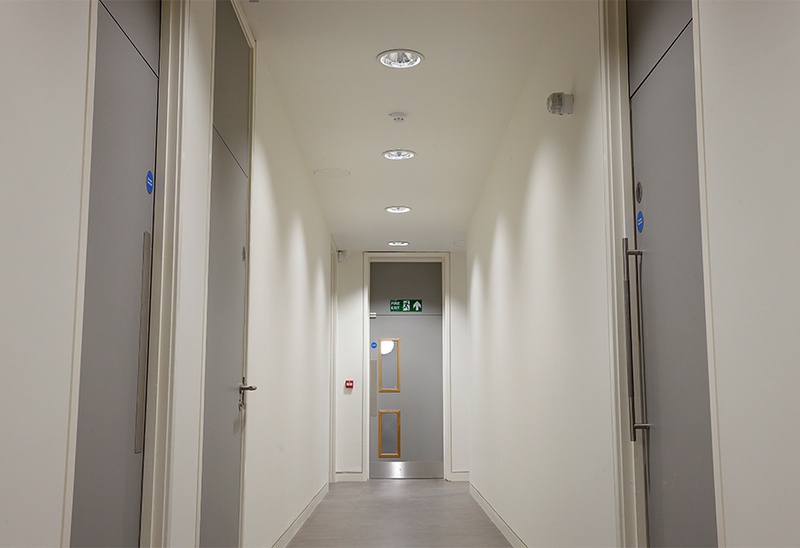 The luminaires of choice were fitted with semi-opal diffusers to reduce visible glare, while the room lighting design provided a UGR <19. Well-spaced fittings and the use of optics ensures that the offices are conducive to worker comfort. Office lighting requirements are changing. Employees don’t just need functional lighting that reduces glare, it needs to become part of the design, creating an enjoyable space in which to work. 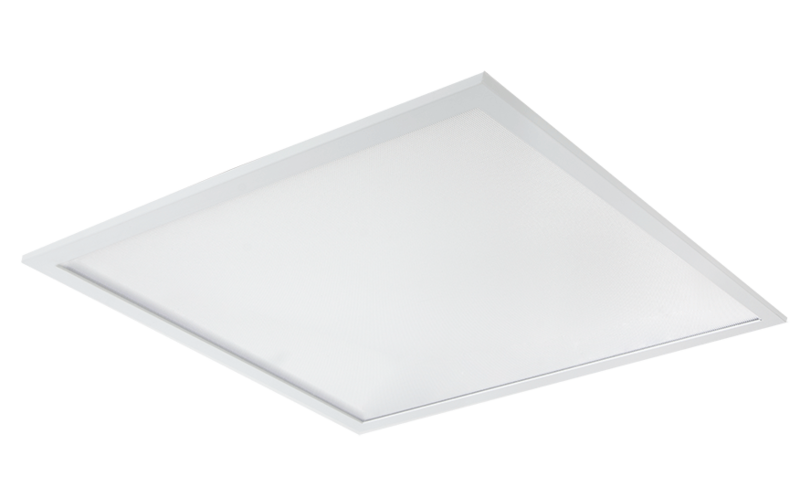 Recessed luminaires fit seamlessly into the ceiling. 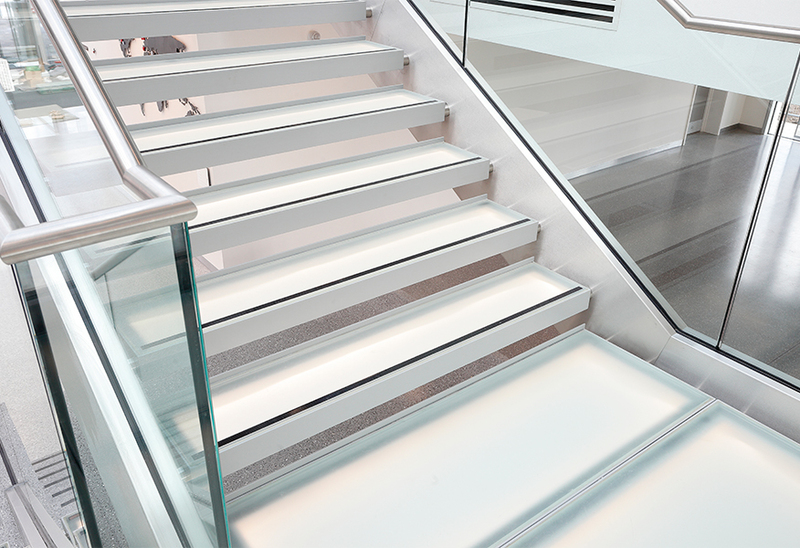 These, in combination with large windows to boost natural light, provide staff with optimal working conditions. To make the most of the natural daylight, office luminaires needed to have daylight harvesting technology. Daylight harvesting reduces the level of artificial light to allow for when natural light levels increase. This ensures that the light levels in the offices are consistent, particularly important for the open plan design of the building. Daylight harvesting also has other benefits for the CEF building. 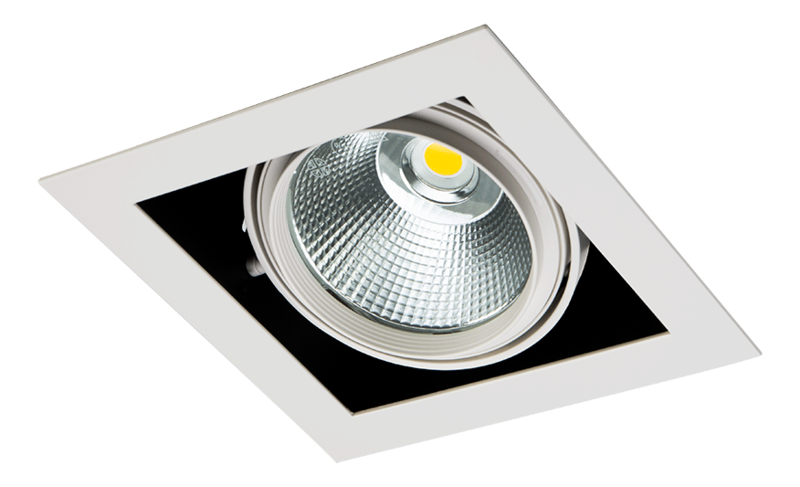 By reducing the artificial lighting output, significant energy savings can be achieved. Used in conjunction with time-of-use lighting controls, CEF reduced energy consumption by 35%, compared to a ‘standard’ comparable office. 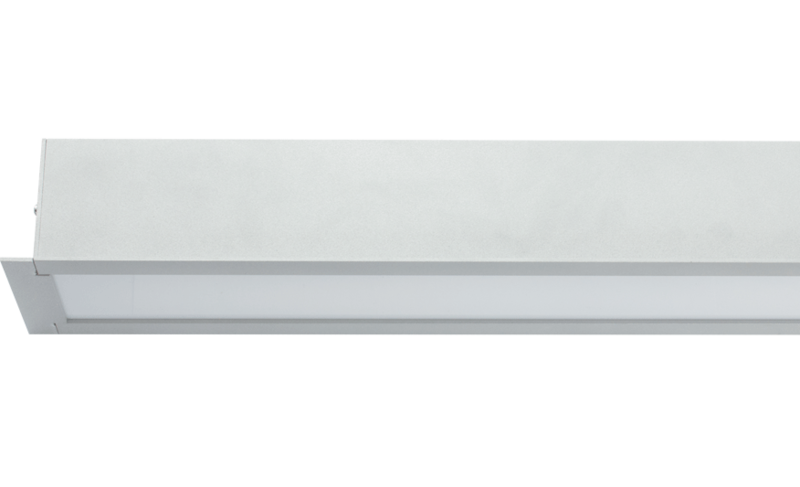 Occupancy sensors and presence detection in the Vision Connect, DALI-controlled lighting system ensure that the light is only on where and when it is needed. By reducing the time of use, CEF reduce the energy consumption of their site, creating a sustainable workspace for their staff.